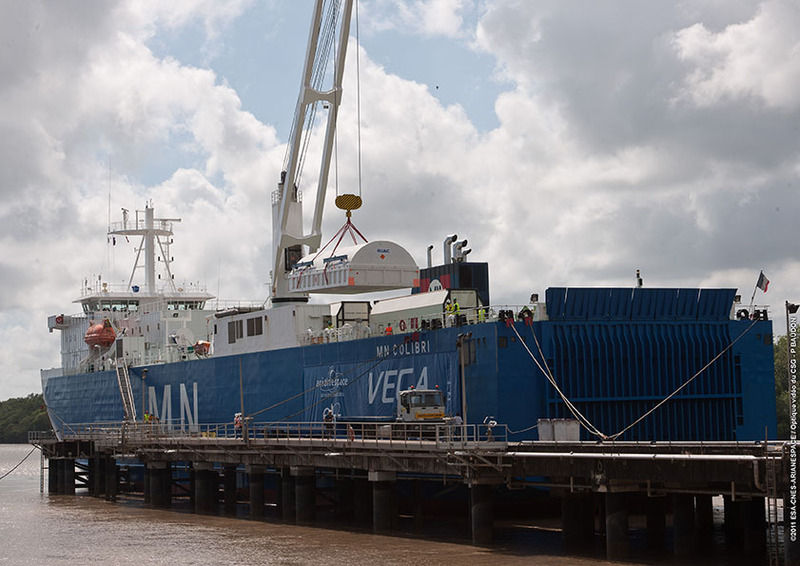 The stages of the Vega qualification launcher, flight VV01, arrived in Kourou on 24 October 2011 (Credits: ESA). Europe’s highly anticipated new launcher is getting closer and closer to operation. The Director General of the European Space Agency decided to start the qualification launcher campaign, after the Flight Readiness Review (FRR) was held in Frascati, Italy on 13/14 October. Arianespace, ESA and ELV (European Launch Vehicle) recently signed a contract for the production of four new operational launchers. ELV SpA is the industrial prime contractor, which will be responsible for the development and production of the launcher, as well as for its delivery and integration at the launch site. Arianespace will be responsible for launch operations. Studies for the launch of the LISA Pathfinder scientific satellite, using a Vega launcher, started at the end of September, planning for a launch window from October 2013 to September 2014. Stavros Georgakas is a space telecommunications engineer based in London, UK.